A friend of mine recently posted to Facebook, saying he was looking to buy his 8-year-old daughter a new guitar for Christmas, and wondering if anyone had suggestions. Having been asked this question many times, I thought I would share a bit of what I’ve learned over the years. I’ve played for more 20 years, taught for more than 15, and have seen many students come and go. My recommendation for starter guitar would be an inexpensive one, with a case, a strap and a guitar stand. And I cannot stress enough the importance of replacing the steel strings with nylon ones. 1. Buy Inexpensive. An inexpensive guitar is just as good to learn on as anything else. And you’d be surprised how fast a young kid can accidentally punch a hole in a $200 acoustic guitar. And anyway, getting familiar with the physical feel of the instrument, and developing fine motor skills is what’s important first. And that takes time. If your child likes playing, after a few years she’ll develop a better ear and will probably want a finer instrument, which then it makes sense to invest in one. But until then, I don’t see any reason to pay any more than $30/$40 dollars for one now while she’s getting familiar with the feel of the guitar. Plus – spending less on the guitar itself now allows for the accessories I list below. It also leaves some room in the budget for a few starter lessons, which I also highly recommend. 2. Get a case. Getting a case does a few things. First, it teaches the importance of caring for and protecting the instrument – a good lesson to learn on a $40 instrument, rather than a $140 one! Second, it makes the guitar mobile. And really, for those who love it, guitar playing is a lifestyle. Having a case allows her to take it with her camping, on vacations, or a weekend trip to Grandma’s. Those times away from home and away from the mundane – on the road so to speak – are some of the most developmentally rich experiences for a young aspiring musician. 3. Get a strap. A strap is good because at that age, kids still enjoy performing. And that’s a huge part of the learning curve. Having a strap gives her the chance to stand in the living room and perform a new song for you. She’ll love it – almost as much as you will. Further, a lot of learning is by imitation. While she’s practicing, in her room for example, if she has the means to stand up like she’s on a stage performing for a crowd, that will certainly help build a good sense of confidence. 5. Replace steel strings with nylon. The reason I advocate the use of nylon strings is because steel strings hurt. And they really hurt in the beginning, where a player logs a lot of hours on the guitar. It takes time to develop ability and time to form calluses – and it’s painful in the meantime. About 75 percent of the people I know who have tried and failed at the guitar, many of which are adults, have given up simply because of this fact. It hurts. Nylon strings are much softer and easier on the fingers and allow them to build up resistance over time. 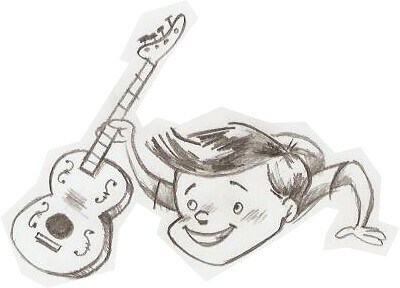 For a kid, there is nothing more repelling than a task that is both technically difficult and physically painful, as learning to play a guitar with steel strings is. If you look midway down the page, they list the “Frequently Bought Together” package that included the kit, a bunch of picks, and a stand for little more than $40. If I was in the market for a kit for a 5-to-10-year-old child, I’d consider something like that. Whatever you decide, take note of the length of the guitar. The one listed here is 38″. I probably wouldn’t want to go too much larger than that. Good size for an 8 year old, and still leaves some room to grow into. And hopefully, from the moment they unwrap it under the tree, that growth will last for years to come. As I type this, I would estimate that there are no less than a quarter of a million articles hitting the web right now about being prepared for earthquakes. And so here I won’t echo the pundits’ cry for stockpiling food and water, having an emergency phone tree set up, and keeping your gas tank at least half full. But I will mention one of the most overlooked, most dangerous, and yet easiest to avoid hazards in the home when it comes to tremors: bookshelves, dressers, and other high furniture. It takes a big quake to topple a building, but it doesn’t take one to tip over furniture, especially that top heavy shelf, loaded with board books in the kids’ room. A quick safety install will help you sleep better at night. Most new furniture purchased today comes with these kits included in the assembly hardware. But if not, the hardware is super easy to find. Some of you may already have. Wall Anchor – This style is available in the hardware section in nearly department store, and at just about every hardware store I’ve ever been to. You can certainly find it in the big box stores too. This is hands down the best, easiest to install, and one of the strongest drywall anchors out there. They usually come packaged with corresponding screws. Plus – it’s minimally invasive, which means if you remove it, patching the hole with plaster is piece of cake. For anyone who’s ever struggled with drywall installs, this is a godsend. Straps or Brackets – There are a lot of different kinds of both straps and brackets on the market. When I’m talking about brackets, I’m talking about a simple “L” bracket, with one end that mounts to the top to the furniture, and the other to the wall. Straps do the same thing and in fact, they might be the easiest way to go. Straps from an old backpack or duffel bag can be cut to length, singed at the ends to avoid fraying, and used just as well. Whether you buy or make the strap, I recommend using a nail to poke pilot holes through both ends where the screws will go. This will keep the strap from twisting around the screw when you install. Screws – As most of the wall anchors come with screws, you should have what you need for the wall. When attaching the strap or bracket to the furniture however, a wood screw is best. You should choose one that is slightly shorter that the panel your screwing into is thick. I recommend drilling a hole that is smaller then the screw. This will avoid the wood from cracking, and will ease screwing. Be careful not to drill all the way through the panel. Also avoid making a hole that is the same size or larger than the screw itself as this will prevent it from getting any bite into the wood. If this happens, simply stick a toothpick or two into the hole, and break it off clean at the surface of the panel. This will fill the hole enough to make the screw go in tightly. Final steps – Once your wall anchor is installed according to the manufacturer’s instructions, and you’ve made your pilot hole in the furniture, you’re ready to tie the two together. Use washers as these will prevent the screws from slipping through the bracket or through the pilot holes you made in the strap. Tighten everything snug. The holes in both the dry wall, wood or press-board furniture can easily strip if over tightened. A bit of a disclaimer here – I’m no expert and please don’t take my suggestions as gospel. The procedure above is simply something I’ve done in my home, that if nothing else, helps me sleep at night knowing I’ve lessened the risk for my family. The risk is not gone. But it is less. Six months and one day ago, as we rang in the New Year, my resolution was to refrain from raising my voice at my boys. I gave it my best effort. “Of course,” I said, trying remember the last time I actually had used volume to make a point, but I came up cold. I really don’t remember the last time. The resolution to speak softly has become a new habit and now, having broken the old habit of shouting, here’s what I’ve discovered. Not yelling encourages listening. Now when I speak in corrective terms, my kids listen carefully. If I tell them quietly but clearly, “if you don’t go up stairs right now and clean your room, I’m going to come up with a trash bag and clean it myself,” they know I mean it. Yelling gives us a false assumption that we’ve actually punished. 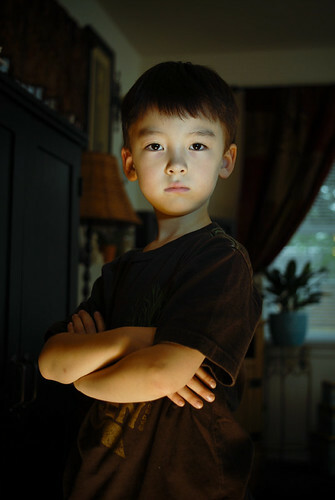 After spouting off an angry pitch at our kids, so often we take no further action toward correcting their behavior. 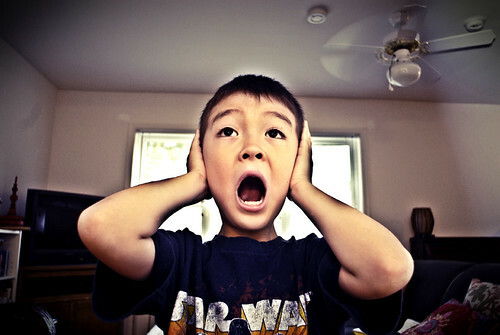 When children are little, yelling is terrifying to them. It is enough to get them moving. But as they get older, they get desensitized to it. The problem is, we keep doing it thinking it is still effective. Yelling is knee jerk. It’s from the place of anger, the place of irrational reaction. Not yelling is controlled. It’s from the place of caring, the place of rational response. And then I apply it. If it doesn’t work, I try something else. But I don’t get irrational. Yelling, I have discovered, is one of those psycho-somatic things … like smiling. If you do it, the corresponding emotion soon follows. So even if I wasn’t mad, all it took was brief shouting session to get me there. I know many parents who are semi-to-staunchly authoritarian. Some might think that my newer softer tone makes me a push over. Some might even say it makes me a weak father figure. But I would offer that any action born from anger is not controlled – and that in fact, it takes a great deal of strength to restrain our actions – especially when we are angry. Comparatively, acting on impulse seems weak. I’m happy I broke the yelling habit. In doing so, I’m setting a better example for my boys. Over time, they too will understand what I now do: we don’t have to use a loud voice to make a strong point. … let’s face it: Our culture has lost the ability to usefully disagree. Most Americans seem to avoid argument. But this has produced passive aggression and groupthink in the office, red and blue states, and families unable to discuss things as simple as what to watch on television. 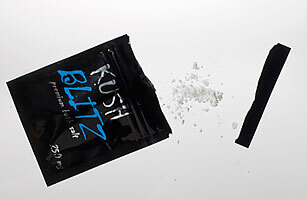 In 2010 there were 302 calls to poison-control centers nationwide about bath salts. In just the first three months of 2011, there were 784. There were also roughly 1,500 bath-salt-related visits to emergency rooms in the first quarter of this year. A common cause of death from the drug is suicide; kids who survive often endure long-term psychiatric symptoms. Once again, parents and teachers are faced with the challenge of discussing a frightening natural disaster with children. Although these may be difficult conversations, they are also important. There is no ‘right’ or ‘wrong’ way to talk with children about such tragic events. 1. Create an open and supportive environment where children know they can ask questions. At the same time, it’s best not to force children to talk about things unless and until they’re ready. 2. Give children honest answers and information. Children will usually know, or eventually find out, if you’re “making things up”. It may affect their ability to trust you or your reassurances in the future. 3. Use words and concepts children can understand. 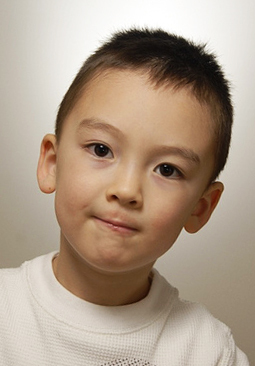 Gear your explanations to the child’s age, language, and developmental level. 4. Be prepared to repeat information and explanations several times. Some information may be hard to accept or understand. 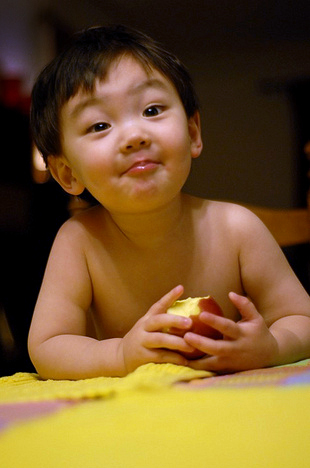 Asking the same question over and over may also be a way for a child to ask for reassurance. 5. Acknowledge and validate the child’s thoughts, feelings, and reactions. Let them know that you think their questions and concerns are important and appropriate. 6. Remember that children tend to personalize situations. For example, they may worry about their own safety and the safety of immediate family members. They may also worry about friends or relatives who travel or who live far away. 7. Be reassuring, but don’t make unrealistic promises. It’s fine to let children know that they are safe in their house or in their school. But you can’t promise that there won’t be another earthquake or other natural disaster. 8. Help children find ways to express themselves. Some children may not want to talk about their thoughts, feelings, or fears. They may be more comfortable drawing pictures, playing with toys, or writing stories or poems. 9. Let children know that lots of people are helping the families affected by the most recent earthquake. It’s a good opportunity to show children that when something scary happens, there are people to help. 10. Children learn from watching their parents and teachers. They will be very interested in how you respond to world events. They also learn from listening to your conversations with other adults. 11. Don’t let children watch too much television with frightening images. The repetition of such scenes can be disturbing and confusing. 12. Children who have experienced trauma or losses in the past are particularly vulnerable to prolonged or intense reactions to news or images of natural disasters. These children may need extra support and attention. 13. Monitor for physical symptoms including head aches and stomach aches. Many children express anxiety through physical aches and pains. An increase in such symptoms without apparent medical cause may be a sign that a child is feeling anxious or overwhelmed. 14. Children who are preoccupied with questions or concerns about earthquakes or other natural disasters should be evaluated by a trained and qualified mental health professional. Other signs that a child may need additional help include: ongoing sleep disturbances, intrusive thoughts or worries, recurring fears about death, leaving parents or going to school. If these behaviors persist, ask your child’s pediatrician, family physician or school counselor to help arrange an appropriate referral. Earthquakes and other natural disasters are not easy for anyone to comprehend or accept. Understandably, many young children feel frightened and confused. As parents, teachers and caring adults, we can best help by listening and responding in an honest, consistent and supportive manner. Fortunately, most children, even those exposed to trauma, are quite resilient. However, by creating an open environment where they feel free to ask questions, we can help them cope with stressful events and experiences, and reduce the risk of lasting emotional difficulties. Thanks to my pal Bill – cop, wildlife photographer and father of three – for sending this along. We haven’t gotten our boys a puppy yet – but with each year, it gets closer and closer. And when that day comes, I’m printing the list below, and hanging it in a central place in the house where everyone can see it daily. But it’s the thoughts below that make all the difference. Thanks for the reminder, Bill. 1. Don’t leave me alone. My life is likely to last 10-15 years. Any separation from you is likely to be painful. 9. Please take care of me when I grow old, as you too, will grow old. 10. On the ultimate difficult journey, when my time here has come to an end, go with me please. Never say you can’t bear to watch. Don’t make me face this alone. Everything is easier if you are there with me, because I love you so. Before we had children, I took up the art of Bonsai design. While I am no master compared to those who spend years perfecting it, I have found Bonsai to be a great fatherhood pastime that affords me both peace of mind and lessons in patience. 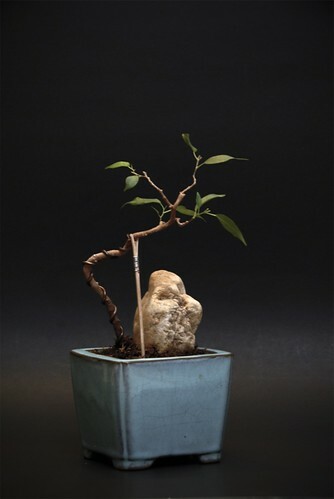 Bonsai is a much simpler concept than many make it out to be. The process and techniques are a bit involved, but the overall idea is straightforward. In a nutshell, the whole idea is to make a young, small tree look like an old one. That’s it. 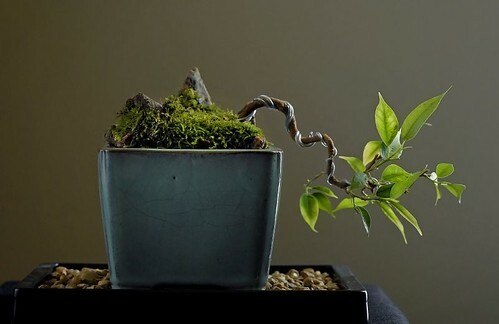 So any tree (or even houseplant) could be fashioned into a Bonsai (literally “tree in a pot”) as long as its characteristics are consistent with Bonsai, which for the most part means small leaves, short node intervals from branch to branch, and a central trunk. I have grown a good deal of species in various regions including California, Oregon, New York, Massachusetts and Virginia, and by-and-large, most plants (even house plants) follow seasonal rhythms. Even plants that are hardy and green inside all year long, they slow way down in the winter and will go months without putting out any new shoots. I think it comes down to sunlight intensity. Now – I warn you – I have killed. I have killed many, many trees – all in the name of eventual success. So don’t worry too much with your first go around. If it doesn’t make it, you learn from it. Ask yourself what went wrong and move on to the ext one. Eventually, you’ll get it. You can start them anytime you want – especially indoor varieties. I tell you though, one of the best varieties to start with is the same shown above, Juniper (Procumbens Nana.) They are cheap, can be found anywhere, and are pretty hardy. But I wouldn’t start one of those till spring, after the last freeze/frost. When you start a Bonsai, it’s a shock to the tree. You basically strip it from where it was growing happily, move it to a new place across town where it may get a different direction and amount of light and temperature. You yank it out of the only pot it’s ever known, hack away about 1/3 of the roots, 1/3 to 1/2 of the foliage, extract major limbs, wire up the remaining branches, introduce new soil, and finally wire it tightly into a new pot. Trees are pretty resilient, with the urge of live nudging them on. But every individual tree has a breaking point and once it’s had too much and starts to die, it’s hard to bring it back. So probably best to start an outside variety in the mid-spring. You could start an indoor variety anytime, but if your home is dry in the winter, as 99.9 percent of homes are, you’ll want to make a humidity tray. 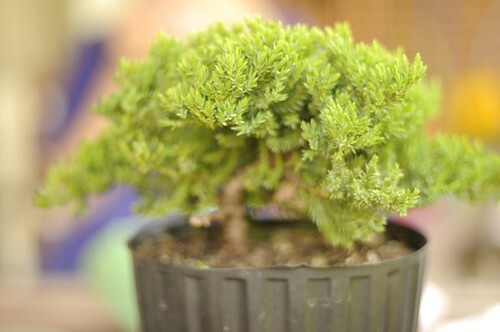 Keeping in mind the above-mentioned characteristics of an ideal Bonsai, you could take a stroll through a local greenhouse, nursery or garden center and see what’s out there. 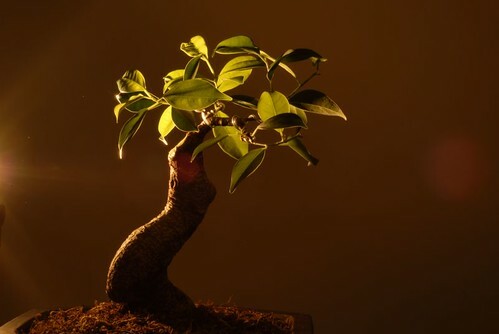 Schefflera and Ficus are two common species that make nice indoor Bonsai and are good trainers. And if you have a nice, sunny, southern-exposure windowsill with a humidity tray, you could even grow a juniper indoors. There’s really no limit, and few rules are absolute. What kills one tree might make another thrive. I dunno. The thing to keep in mind is it really, truly is an art – and most serious practitioners devote years to learning it. My interest started in Oregon more than six years ago and I’ve barely scratched the surface. I tried for a long time the hurry-up method, and forced trees too quickly into my vision. They all died soon after. It is a gradual thing that really teaches patience. It’s alot like raising kids really: You may have a clear idea of what you want them to become, but you have to balance it with what they want for themselves. You have to accept the fact that changes take place only gradually. You can guide, and encourage – but not force. And like kids, who with close care grow into well rounded and healthy people, the same rewarding feeling is offered with Bonsai. I remember when our first son was just a few years old. With an uber-busy work schedule, and a new baby at home, I needed some “me” time at least once a week, so I joined a Bonsai club. It was mostly older men in their 60’s and 70’s who met for a couple of hours on Sundays. They all shared a love of growing and shaping little trees in pots, and were some of the most cheerful, calm, gentle and understanding people I have ever met. I aspire to be like them when I am an old man. Until then, and with my boys being older now, I’m starting to get them involved with the art. 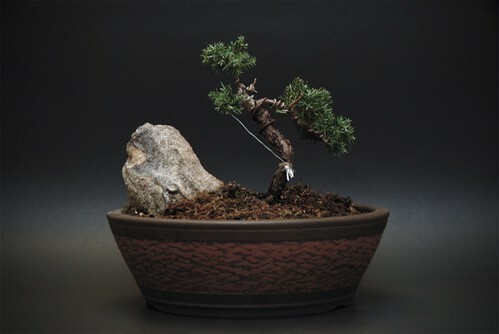 Drop a line in the comments if you want/need any more info about Bonsai. I’m so happy to share what I’ve picked up along the way – and I can recommend some great books. There is a ton of good info on the Internet too. Good luck if you go forward with it – and, if you do, please share your successes with us! Not long ago, I had the idea of writing a series on the highly accomplished men of our era; men who had achieved great successes at home in their personal lives, and fame and fortune in their professional arenas. Great fathers, superb husbands and professional successes. That was until Tiger Woods, the man who was to open the series, fell. And ever since, I’ve been looking for a stand in. Still, the whole Tiger thing is surreal to me. Not that it happened, but that the man portrayed before the scandal, seemed so, well, accomplished. Unlike many, he is a man in tune with his great talent. Golf, moreover, his absolute mastery of it, brought him great wealth – and beyond that – made him whole. He was respected by many in his profession and in his life. He had what appeared to be a healthy family. He was what I , until recently, would have called a true champion. But, like so many before him, he fell. And so I am left to wonder: who among us is the highly accomplished man? Who has gained the deepest respect of others in and outside of his profession? Who has discovered his work, his calling, and fully given himself to it. Who has mastered his mind, and his hands and thereby, mastered his work? Who has earned a deep and sustainable wealth? And who, having achieved these things, has remained as devoted to his home and family? What we see are many of the rich and most of the famous, who have more money than they will ever need. Many have even won the deep satisfaction of being self actualized. One great quest of theirs is over. They are pouring themselves, whole heartedly, into their work, and thus, they are whole. And yet, so many of these men, on their second, third or even fourth marriage, have a trail of broken dreams and shattered families in their wake. Busy in their work, they neglect their homes. Too busy seeking fortune and fame, to tend to the family. It’s not my place to say whether or not they are good fathers or husbands. All I know, as I’ve often said, is the best thing a man can do for children is love their mother. I don’t know what they earn or do for a living. But if I had to generalize, I’d say these were guys somewhere on a middle scale. In fact, I’ve known alot of dads from the middle, right on down to the low, low end of the pay scale who were humble, simple and although they didn’t have comparatively much to give their wife and kids – no doubt, there was plenty of love and support at home. Many of these men put their biggest professional goals on hold for their families. And in so doing, a part of them is forever empty, missing. Most, despite an ever-present, longing ache, never reclaimed those dreams – even after their kids had grown. Like the majority, they settle and make do with the life they have, the one the end up with … Bitter sweet, I guess. So who among us is the fully accomplished man? If a healthy family life eludes so many of the famous and (arguably) fortunate, and great career success often escapes the humble dad, then who can be called fully accomplished? But there’s a good reason I’ll never be sure. These men, if they do exist, I may never meet, hear of, or write about. I assume they are too busy living their lives to seek the spotlight. If they are in fact present and fully supportive fathers, caring and deeply empathetic husbands, and high earners, working at full-potential in their chosen careers, they probably don’t have time for much of anything else. And after all, really, what else is there? Our youngest son, Hugh, is two years old today. It’s a big day for two reasons. One, because it fills me with pride to see him growing so, and becoming his own person. And two, because it scares, stresses, worries and frustrates me to see him growing so, and becoming his own person. Today makes it official; the stubbornness of the terrible two’s has arrived. So naturally, we’ll address them in the jumps today. Raising Good Children: From Birth through the Teenage Years I mentioned this book in a previous set of jumps, and am including it here again because it is hands down one of the best parenting tools I own. As one reviewer put it: “… It has sound philosophical teachings and specific advice that is appropriate to every age and stage. It combines the fields of Child Development and Psychology with morality and good common sense to lend the reader a practical guide.” It’s very readable. Dealing with Temper Tantrums Q: My 25 month-old son throws temper tantrums at the worst possible times, like in the grocery store (which happened to me yesterday). What do I do? I’m so embarrassed! But – thankfully, as I mentioned before, the second time around is not so bad really. Sure, It’s challenging. But not as much as with our first son. The second time around, I’m able to enjoy it a bit more, alot of the time from behind the lens. Here’s a slide show Kumi put together of his first two years. Enjoy it with us, won’t you?